Looms ship in 3-5 days. Free USA Shipping. Ships every Monday. No international shipping at this time - watch for this option in the future! Made in small batches. No returns. This is my own, unique loom design - not sold anywhere else. This is my dream loom, and will be yours as well. Now available in two sizes! This loom can be used as multiple looms in one. The large size allows for ample room to explore and be creative. But, when you only want to work on a small piece and don't want to waste your string, the bottom notches are adjustable up to 7-8"! You can even get a longer bolt from your local hardware store for a few dollars if you want even more adjust-ability, up to 2'. This adjustable notch feature is also crucial to having control over your tension. Once warped, there is little you can do to adjust the tension on a regular loom. With the adjustable notches you can tighten or loosen the tension of your warp. If your tension is too loose, simply tighten the loom... if your tension becomes too tight, all you have to do is loosen the loom. This is a gamechanging feature that you won't find with any other loom! The notches on this loom are created from hard wood.. you can choose the sett of your warp strings by single warping or double warping... from super close to super far! This loom is easy to put together and stable once it is connected. All that is required is a Phillips screwdriver. Included are simple instructions, including a step by step video explaining how to set it up and warp it. It also comes with removable stands for mobile weaving. What is a good size for a loom? 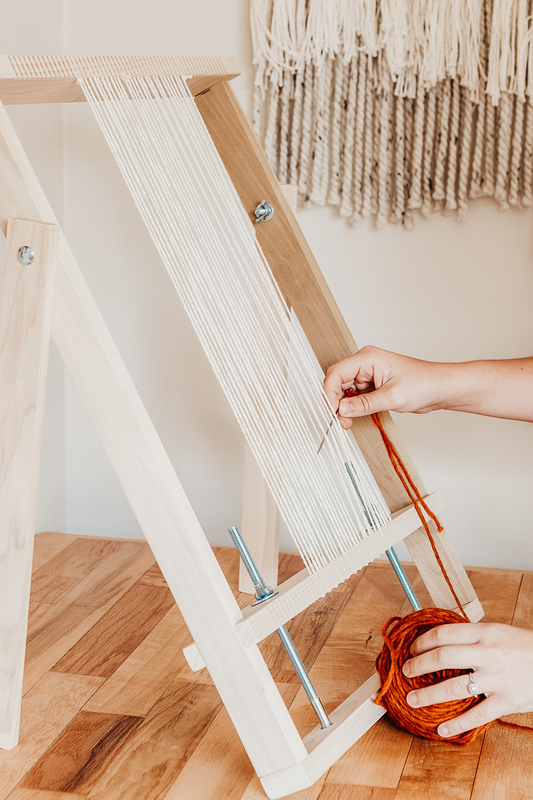 Is this a good loom for beginners? 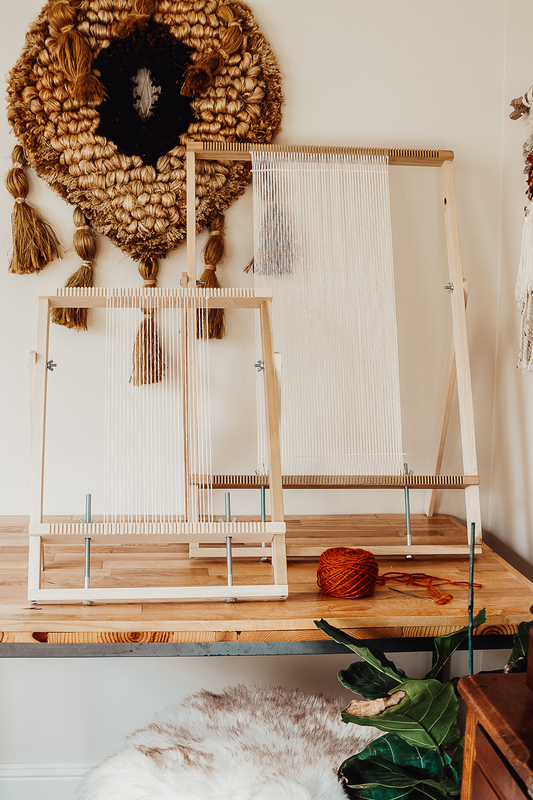 I create 95% of my tapestries on a loom that is 18" wide... this loom has plenty of room for beginners to learn and grow, as well as seasoned weavers to take their skills to the next level. It will be the only frame loom you ever need.